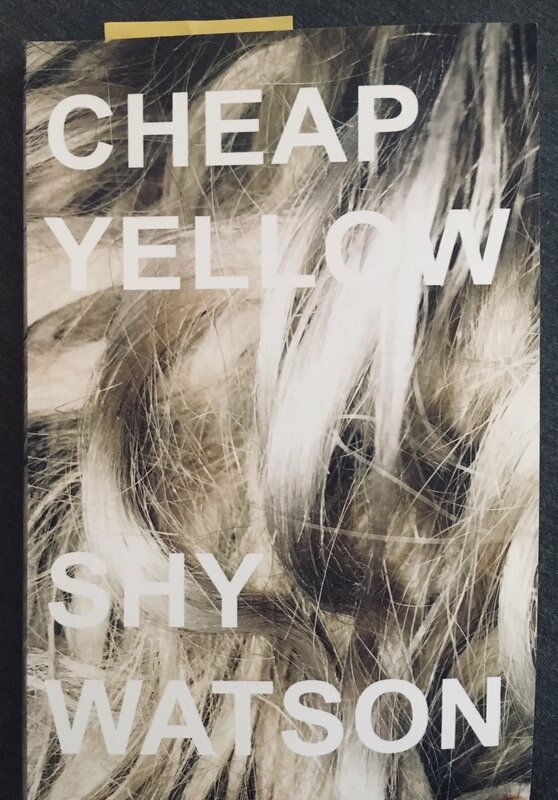 "Shy’s poems are abruptly smart, a little violent, devious and ongoing, legendary, mythic, not prosey though a little like the voice of god if god decided to speak more collectively for a while. Shy’s poems to me are so so worth it. And they are crafty – also like god." That feeling of being undermined is particular and memorable. The floor falling out from under you. That feeling that there was maybe kind of a trapdoor underneath you all along. So many of Watson's poems make me feel exactly this way. Pained and jumbled and aching in a perfectly honest kind of way. There's building momentum in these turns -- an escalating -- a getting-in-your-face-ness -- a coming-to-terms-with. Both of these moments have that intense attraction-repulsion energy to them. As the speaker is being engaged with by another - someone worrying over scratching your bites, the intimacy of being "in me" - she pushes back: HARD. How has Watson written lines that feel both strongly confessional and steely? Armored and opening? They leave me feeling like someone had told me the truth while shoving me hard in the stomach. But that's not the only kind of energy present in this book. I mean, I drew a smiley and a heart. I couldn't help it. The energy is softer in these moments. Cautious, appreciative. Ironic and smiling. Attentive. 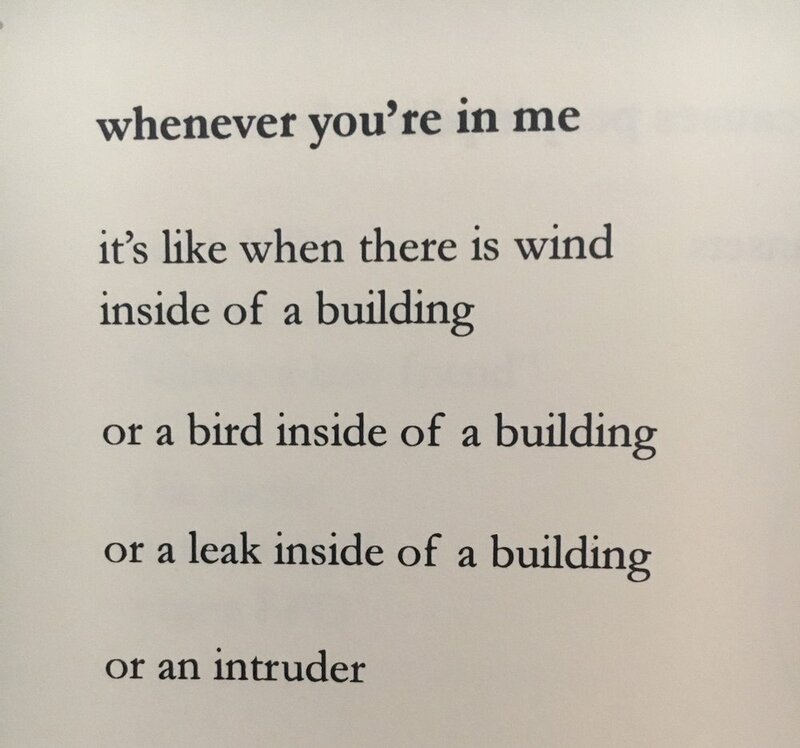 This shift in dynamics helps complicate the persona driving these poems. Like she's pulling over and taking in something scenic. These moments are warm. They're giving little looks. One way this collection keeps reeling me in is because of all the angles: loving, being loved, being not-loved, being not-loving.